Check out my art gallery for a couple new pics based on Crys’ characters. That’s the only added content for the moment. The main reason for this mini-update is to announce that Akutare has quit as Bubbleman. There will be no recruitment drive to replace him right away, as I’m leaning towards the scaled-down approach – same reason we still don’t have a new Bowl or Yamato, I want to make sure I can mobilize a tight group of reliable members rather than continuously take chances on untested new ones. An unsettling impact of my decision not to replace Aku is the blank spot it would naturally leave in the bio navigation bar up there. After weighing the options, I kept the button linking to the Bubbleman bio which now just describes Bubz as an NPC. It’s a little off since all the other NPCs are listed on a separate bio page, but it’s either this or completely redesign the navbar and I don’t think this development is worth the effort. I’m Jack Vulcan, leader of the Ascendant Androids and Metalman of Annihilation. Gonna be contributing to this blog. Expect to see me talk about strange and banal topics alike. Without shame, allow me to exploit the fact that I have an alternate platform which may end up having unique content. So… how goes it? A little while back, Gauntlet archived a bunch of Sinster Six stuff due to the imminent closing of Geocities, the internet’s longtime favourite source of simple, free-hosted websites. Today, I bring you the results of my own Geocities salvage operation, the site of the original EXE1 Team, Viral Infection. VI had a bit of a rough history with hosting. First we were on Geocities, then a couple of flakey servers belonging to friends of TRC. As a result of lots of moving, we racked up a lot of different formats and layouts in our brief 2001-2002 existence. After it was all over, it came full circle back to Geocities on my own account. With a lot of content lost with former servers and so many conflicting backups, I didn’t post much on this memorial site, just the sprites, links to the stuff Gauntlet already put here, and the new VI-related stuff like TRC’s reunion epilogues and the Virus Gallery. Files stored on the Geocities account I hadn’t posted any permanent links to anywhere like my name origins article or the navisceration checklist. The other backups gathering dust on my hard drive I now had the technical know-how to convert and clean-up to fit with the others. A lot more content thought long-gone courtesy of archive.org. I could have sworn I tried that place years ago. Maybe I wasn’t looking hard enough. How about all-new stuff? Mostly out of necessity, I needed to whip up some new images replace lost ones in the bios and chip galleries, and when I decided all the script-based stories needed to be sprited like epilogues, I suddenly needed sprites for a few of the original characters. It took a couple weeks longer than I expected (i.e. it took two weeks instead of one night), but it’s done. There’s a lot of nostalgia in there, things some of you haven’t seen in seven years. I highly reccommend a glimpse at the sprite gallery, and a quick read of the stories, or what I could recover of them. Also check the Downloads page for some avatars and wallpapers. I gotta say I’m going to miss Geocities. There are a lot of old friends’ sites that look like they won’t be recovered like this, like Clownman’s Circus or Darkman’s Robot Warriors. I actually grabbed a few things from those sites to put on VI here because I don’t want the internet to be forever deprived of Stoneman’s sprite animation of Megaman’s exploding head. I’ve been cranking out a lot of images for the BN3 team lately. See the latest additions to my gallery and the remastered items on the Navi Icons page. Also FlameChick no longer has to be represented by the images of her male counterpart, as I have built a set of sprites, a mugshot, and a chip image in her own likeness. They can all be found on her bio page. Bet you weren’t expecting an update from yours truly. I’ve been working on a new section here for the Battle Network 3 team, Annihilation. This team is still going on, but the webspace we used before was a pain. Since the Maniacs are gradually broadening their scope and since my two teams are essentially two sides of the same coin, it only seemed natural that we bring them together eventually. You can find the link to the new AXE site down near the Affiliates list where the link to the old site used to be. Here’s something I’ve received a request or two (or one) about – the Design a Villain contest! I have to admit ….. I’ve been negligent on announcing things on this. I thought I already did announce it, but …. no. So, a winner has been decided upon! And the winner is …. Yes, that’s right. You’ll have to wait until Wanted comes out to discover who the winner actually is. However, the winner has been contacted and knows he/she won. Rich is still working on the prize. So, if you weren’t contacted, you didn’t win, but I thank you for participating. What is up, however, is all the entries for the contest. So you can browse all the loathsome villains made for the contest. In other news ….. I found some old stuff while going on my incessant search for some way of recovering the first Hardman’s bio (a thorn in my side for a LONG time). Skullman’s bio has been found! (The one he did for Megaman United). He got this site started and now his bio is up on the special thanks page. I also found the ORIGINAL bio for Topman, who was the webmaster here very briefly before I took over. Sadly I didn’t find Hardman’s bio. The archive of the first layout has been updated with the original files I found on a CD (which had Top’s bio). The one on the site was a reconstruction I made base don my memory….. this is MUCH closer to the truth! Although I did change it to be more of a medium from where the site first started but before I fully took over and added a background image and took off the background MIDIs. Newbies take note: there is hope for you. Just look how much better I got at this. Don’t get discouraged. Some (one) person has asked about ‘Maniacs Moments not being updated. The answer is simple. Hard hasn’t sent me any new ones. Send Hard some fan mail to get him motivated. But, unlike me, Hard has a life so unimportant things like jobs and girls get in the way of his work. Yeah, I know ….. for shame. Posted in archive, contest, Maniacs Moments, team | Comments Off on Contest update! Old Stuff! It’s that time again. It’s time for yet another change in the Mechanical Maniacs roster! Jonathan has quit and has been replaced by a familiar face in the team scene …. Rich Kassidy, the former Bombman of the Sinister Six! Except this time, he’s using a pseudonym called “Kenta (Kassidy) Eigen” …. what’s up with that, you ask? All will be revealed in the upcoming Series 6 of the Mechanical Maniacs epilogues. So, let’s all give the new Magnetman some congratulations! And the first order of business is …. a new contest! Brought to you by the new Magnetman. The Design a Villain contest. Basically, it’s your chance to design a kickass new villain for the Mechanical Maniacs to face in an upcoming adventure written by Magnetman. But, there’s an added bonus. And that is a custom figure of the winning design will be made by Magnetman himself. And this figure will be sent to the grand prize winner. So you’ll get a small figurine of the villain YOU designed in addition to being featured in the story. The runners up get a pat on the back from me. Additional rules are posted on the main contest page. Only two entries per applicant. Operators are standing by. Issue#18: Snakeman on a Plane! By the one and only Snakeman! If you can’t guess what it’s about you’ll be shot. Okay, and now for team stuff …. basically there been a bit of confusion to the nature of MM teams and how the system works. This has led to some getting quite upset. Well, from now on the informal rules (which, although informal, were enforced by some in the community making the hardly informal at all) have been written down in the Team Links Section. Having informal rules isn’t fair to ANYONE. Not to the people who unintentionally break them because they don’t know they exist. And not to people who bring themselves to enforce them because they don’t formally exist. So, as keeper of the official list I’ll set the rules in writing and make them official. An EPILOGUE update? By LENNON!? It’s TRUE! In a bold move he’s actually continuing his stories! They are hurtling towards the end of his story arc. Hurtling slowly, but steadily. Read it NOW! 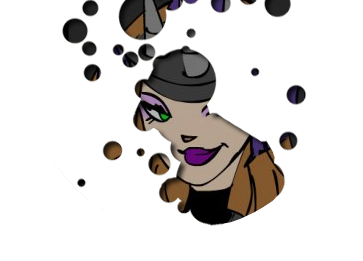 Also, in a move that will not be repeated EVER, Needlegal has changed her name from KittyKat to Psycho Magnet. KittyKat being her moniker when she was new and didn’t really care much about it which is used only here and Psycho being a long-held name for the last …. three or so years which she uses everywhere. Every single reference to this has been updated (thank YOU, Adobe GoLive). During updates some files (notable, three epilogues) were lost ….. well, they were found and restored to the site. Yay. Go me. The winner of this week’s ‘Maniacs’ Moments contest is …. Hardman!? Yes, well, he wanted to show a “preview” of where the ‘Maniacs are headed. Keep on sending your submissions! There’s actually …. not too many …..
With The Unnamed finished, another section gets an update! The rogues gallery gets updated with relevant information and a nice, spiffier visual appearance! The contacting section also got a bit of a visual makeover and now looks like it belongs with the other sections in the “bios” compartment.